Our research focuses on the intersection of computer science and genomics. Today, the scale, multimodality and complexity of genomic data present some of the most interesting and impactful challenges to computer science. Drawing from machine learning, algorithms, and systems, we develop novel methods and through collaborations we apply them to genomic data. The problems that interest us most combine cutting edge computer science with impactful human genetics. Our research focus has been diverse and members of our lab have the opportunity to partially define our research agenda. We currently focus on the study of cancer somatic evolution, human microbiome diversity and human genetic variation, with a special focus on deploying new sequencing technologies that produce new types of data and require novel computational methods. Our computational toolbox most often draws from graphical models, algorithms on strings and trees, with a recent interest in deep learning. Cancer is a disease of the genome. A tumor can be thought of as a unicellular parasite evolving within the host. We study cancer with an evolutionary approach and using new sequencing technologies. Novel computational methods are at the core of such studies. Given the rapidly growing databases of human genomes, what is the most efficient way to sequence each additional personal genome or the genomes of a new population? How can we best identify variants in dark, hard to assemble regions of the human genome? Our ability to decipher genomes and function expanded dramatically with the recent deployment of read cloud technologies such as 10X Gemcode. We collaborate with 10X to develop the needed advanced algorithms that leverage the new data type, and to early adopt the technology in our cancer, human variation and microbiome projects. 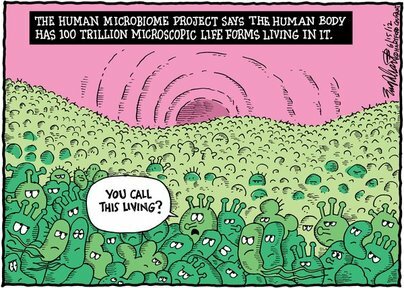 In the human body, thousands of microbial species and subspecies constitute 10 times more cells than human cells and are central in quality of life, phenotype and disease such as coronary disease and diabetes. We develop algorithms that leverage the newest sequencing technologies to assemble and study the evolving human microbiome.